Graphics card maker AMD reported a major sales jump in the third quarter of 2017 amid significant demand from the world’s cryptocurrency miners. On its Tuesday afternoon earnings call, the company reported $819 million in revenues from its computing and graphics division for the third quarter of 2017, a whopping 74 percent increase over the prior year’s quarter. While the company’s graphics processing units (GPUs) have been traditionally used by video gamers, cryptocurrency enthusiasts are quickly snatching up the tools for mining ethereum and other coins. In a possible nod to that circumstance, AMD said the revenue was “primarily driven” by strong sales of its Radeon GPUs and Ryzen desktop processors – both of which are employed for crypto-mining. In particular, AMD noted that sales of the Vega 56 and Vega 64 GPUs ramped up significantly during the quarter. These are among the most highly sought-after devices in the cryptocurrency market because of their significant processing power compared to other products. With stagnant growth in its other core business segments, the surging GPU sales fueled a 26 percent year-over-year increase to a total revenue of $1.64 billion, making it the company’s highest-grossing quarter since 2011. But while the numbers are eye-popping, the company’s shareholders weren’t impressed with the Q3 results. AMD shares ultimately dropped 12 percent, from $14.25 at closing on Tuesday to as low as $12.43 in after hours trading. This coincides with the investment communities highly cautionary stance towards AMD’s exposure to the volatile and potentially fleeting cryptocurrency market. Plus, AMD forecasted a decrease in cryptocurrency-related revenues for the fourth quarter, expecting its fourth quarter revenues to decrease by 15 percent from the third quarter, give or take three percent. Overall the message was mixed. 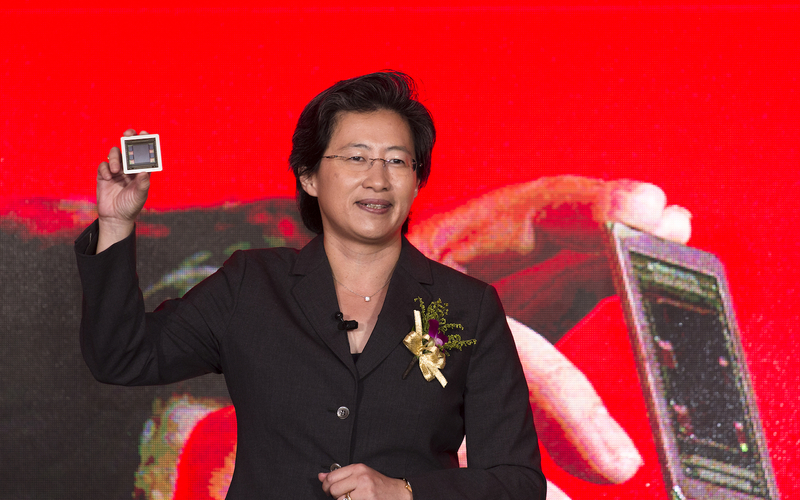 While she issued bearish statements about the future of cryptocurrency mining as it relates to AMD’s earnings, she also seemingly left the door open for other opportunities, although those seemed less clear. “There’s also [a] commercial blockchain component that we believe is interesting and likely to continue into the medium term,” she said.